This is another example of unpredictable weather in Arizona and Utah. Only 90 min before taking this shot I spend at least an hour at Horseshoe Bend waiting for the rain to stop. The weather was miserable but warm. And now I was at Lake Powell shore witnessing one of the most colorful and stunning sunsets in my life. 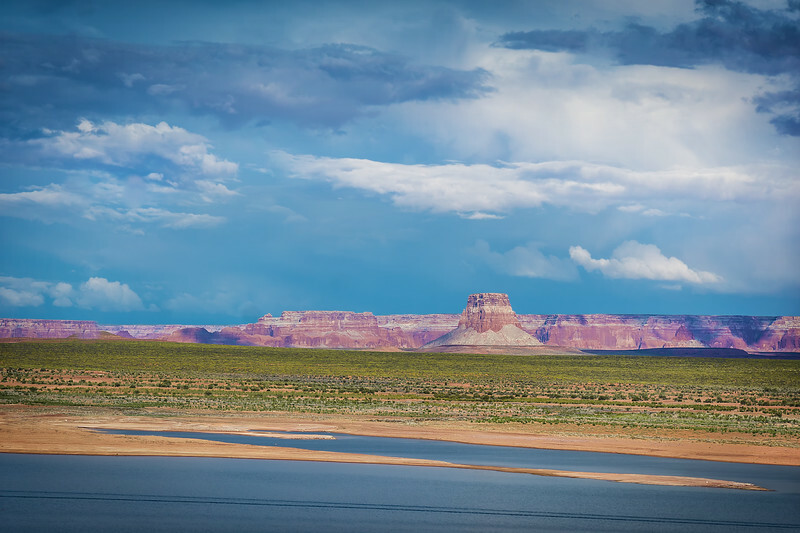 The surreal landscapes of Lake Powell always fascinated me but only when I started planning my trip to the Southwest I discovered that the lake was man made. It was formed after the construction of Glen Canyon Dam. Now it all made sense. The landscape I witnessed was too unreal to be a natural occurrence. I took the featured photo on the day I did U.S. Route 89 Loop. I started the day in Knab, Utan early in the morning and went counterclockwise toward Arizona’s Grand Canyon’s North Rim and Lees Ferry. 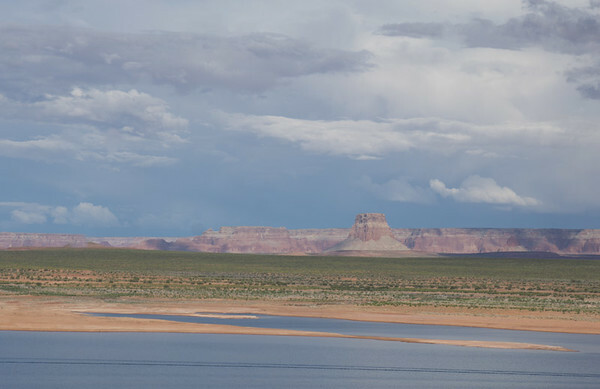 The Lake Powell marina was my last stop before driving back to Kanab to complete the loop. The shooting was not challenging at all. The thick clouds completely covered the sky defusing the late evening sky and reducing the dynamic range of the scene. All I needed is one shot but as you probably know I always bracket my shots, just in case. I took 3 bracketed shots on a tripod (-1, 0, +1) as I usually do. I used a single RAW image editing in Lightroom. I described the process in Lightroom Rapid Editing System for Landscapes. First I applied Lightroom preset Golde Gate from my Landscape Collection and later I used ToolKit to boost colors and contrast. Topaz Clarity was used to enhance details and boost colors (desert, mountains).